Early in our marriage, my husband and I would do out best to take everyone in our family a small little something at each family gathering. My husband has a large family, and over the years, the family has grown even more with the addition of children and grandchildren. But one of my fondest memories is our first Christmas. We gifted everyone these little metal puzzles. A room of almost 50 people was quiet for nine or ten minutes while they tried to figure out the metal puzzles. It was a fun night of laughter and togetherness! 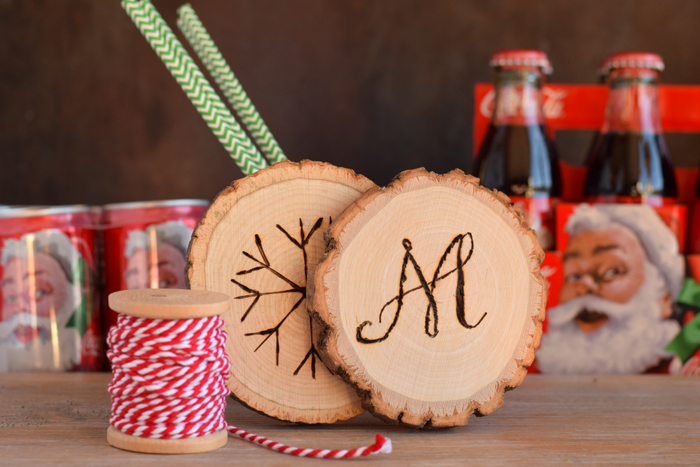 My husband and I still like to give personalized items to our family during the holidays, especially those who come over to our home for a family meal. 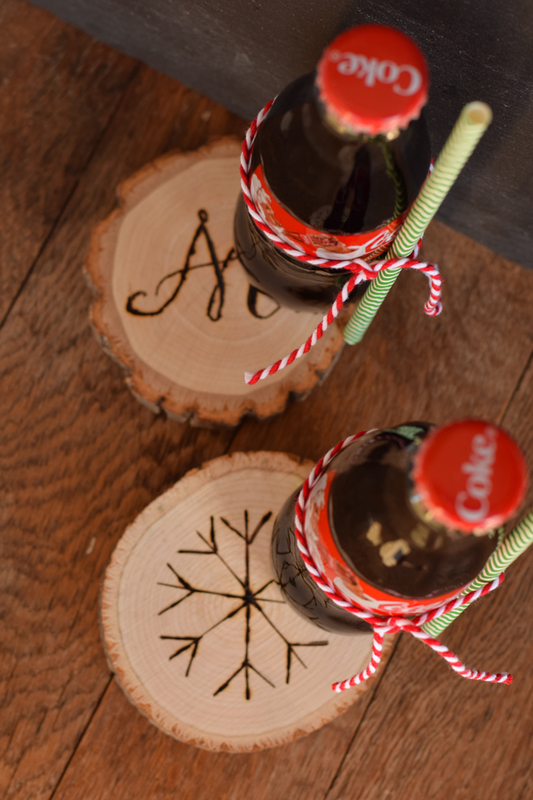 One way to promote togetherness and make family feel welcome in our home is to create small table favors for them that double as gifts. 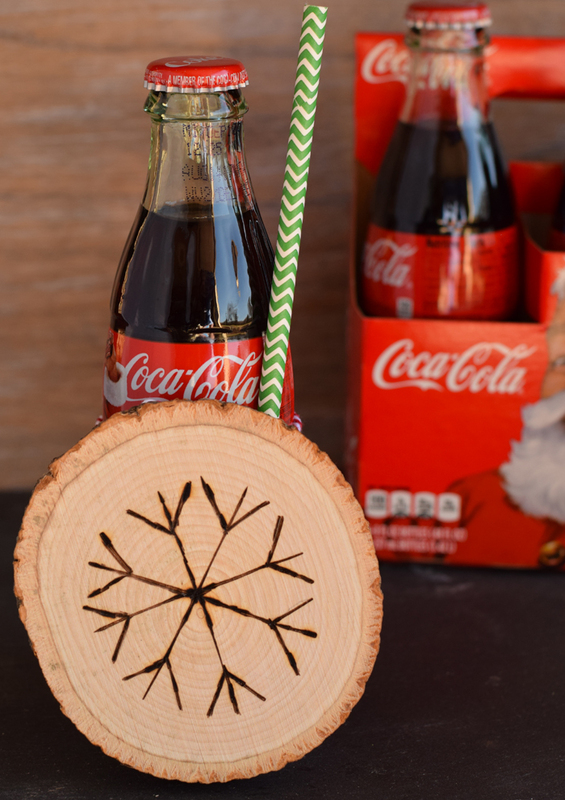 By adding customized Wood Slice Coasters, a fun straw, and a nostalgic glass bottle of Coca-Cola, everyone leaves with something in hand. Please note: The Versa-Tool is aged for adults only! This is not a craft for a child. Use caution when creating this project, just as you would any other household project. First, decide what you want to place on the coaster. You may choose an image or words! If you choose something complex, you may want to use the Transfer Point on the Versa-Tool to transfer a laser printed image to the coaster. 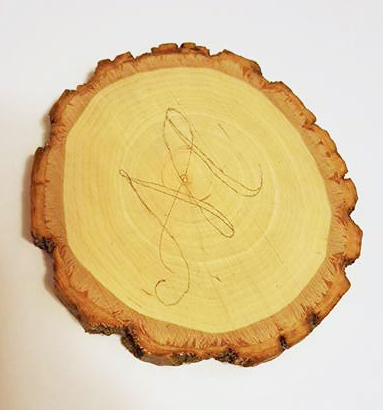 If you are just using words, then you may write them on the wood slice lightly with a pencil. 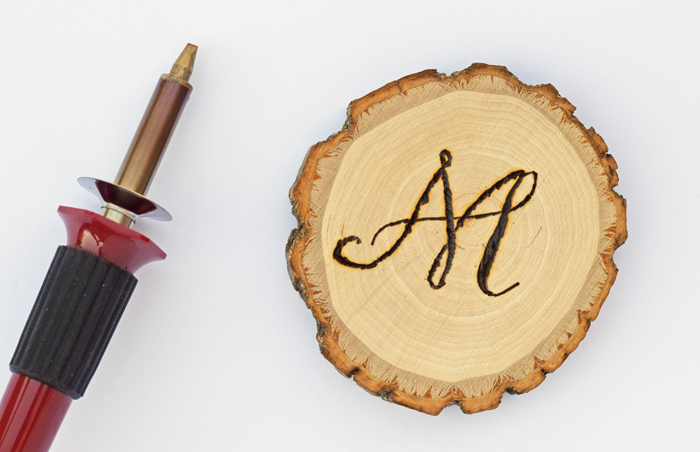 Using the calligraphy point, burn the image into the wood. Optionally, but for best results, use a wood sealant to seal the top of the coaster and the image/words. 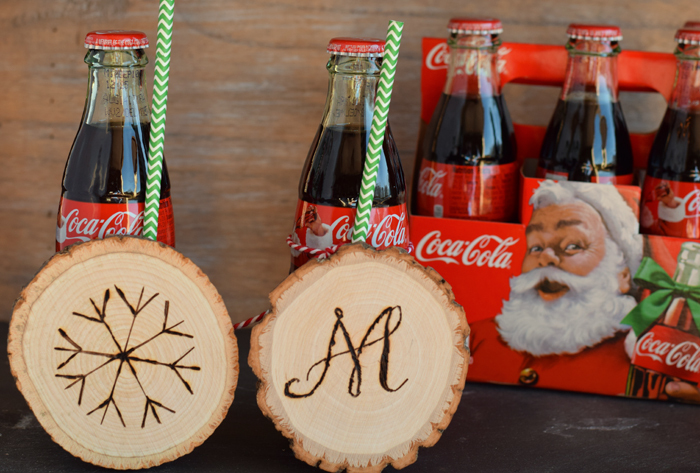 Pair the Coca-Cola with the coaster and a festive straw. You can even tie it all together with baker’s twine. Gift these individually or use them in the table setting at the dinner table. 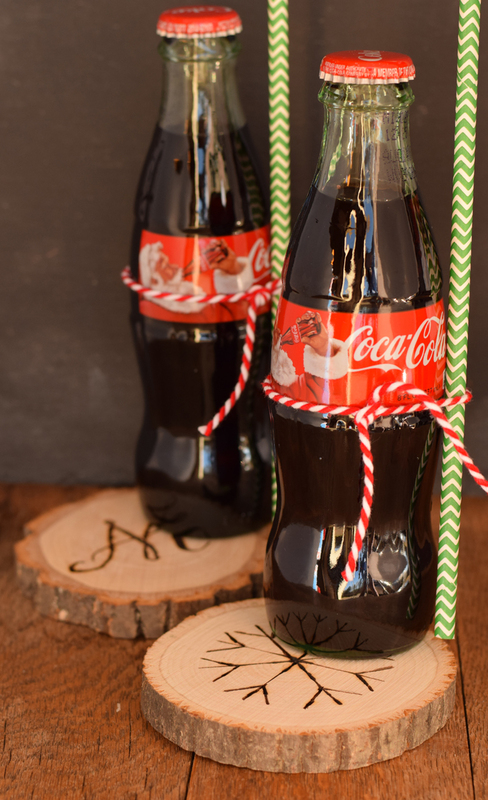 They will be a great conversation starter, and you’ll enjoy seeing the smiles on your families’ faces as they pop the top on their own Coca-Cola bottle. 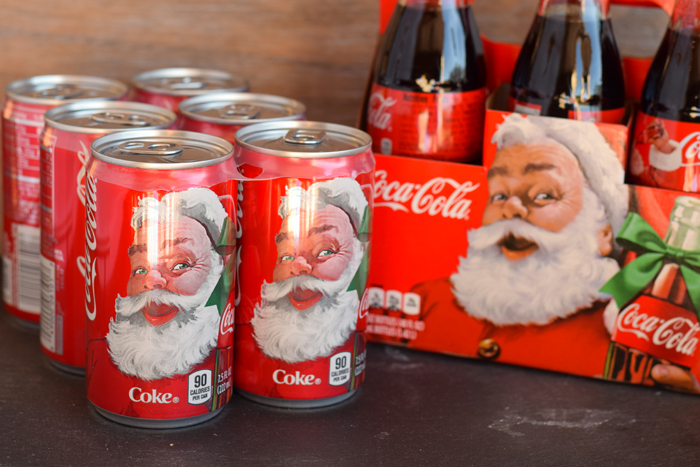 Find these Limited Edition Holiday Packaging Coca-Cola glass bottles at your local Publix. While at Publix, keep an eye out for the Shopper Sweeps. With gift card prizes of $50, $100, or even $500, this text to win sweeps would help to entertain the family during the holidays! The text to win sweeps is held in Publix stores only. Keep an eye out for the link/entry information while shopping at Publix to get entered to win! 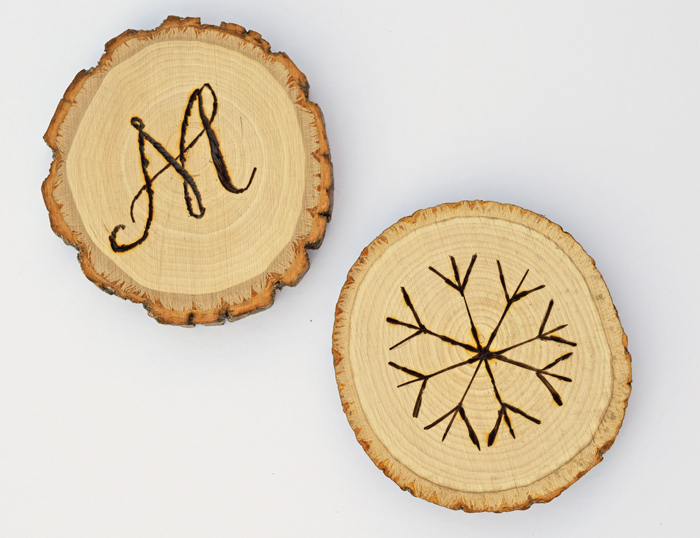 I actually bought wood coasters like these for $15! I thought they were so adorable. I just don’t know if I have the creative touch in me to create them! These are a great idea! So unique. They would make for great gifts. But also as props for my blog! 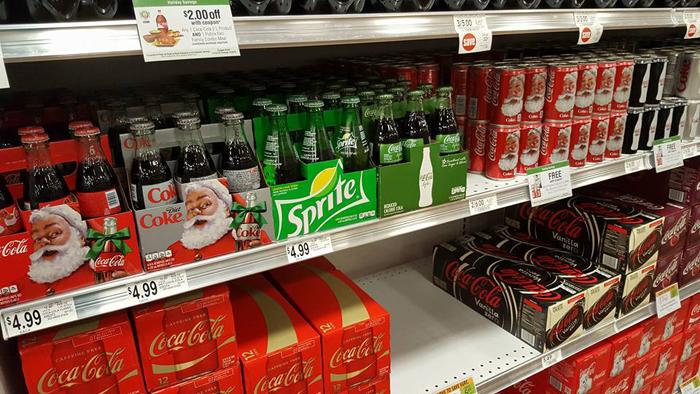 Would you believe we were just looking for some holiday coasters this past weekend?! 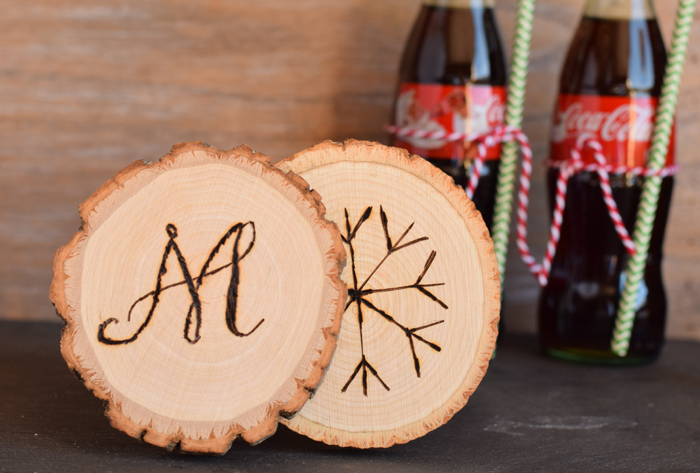 I love your wood coasters and that they’re personalized. Hmmmm, thinking of some gift ideas now. Thanks for the inspiration! Love these coasters! I can see my husband enjoying this craft! These are so cute! 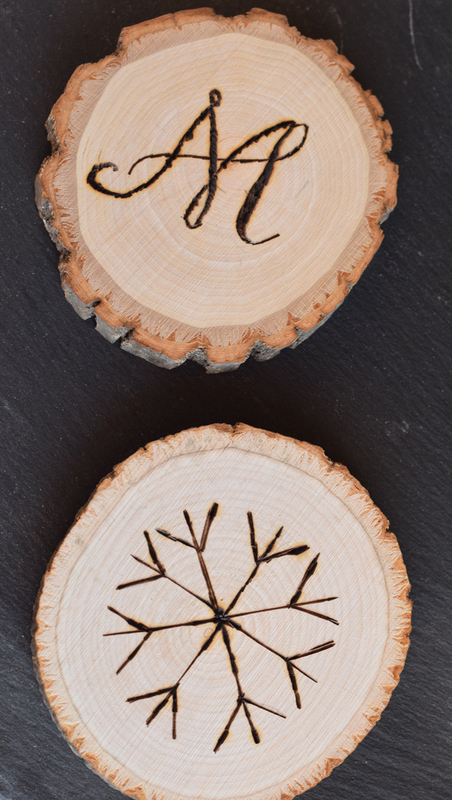 I didn’t realize that wood burning was so easy. I am gonna have to grab me one of those tools the next time I’m in the store. My daughter had been asking about wood burning because my dad uses this tool on his gourd art. You can use your 50% off craft store coupons on them, too! I got mine for very cheap with my coupon. Really cute project; I’d love to make it. 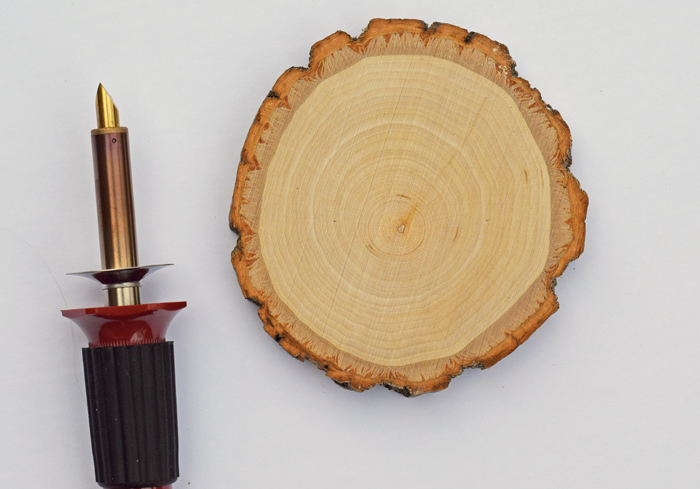 Where did you get the Wood slice coaster, plain? AC Moore! But I think all craft stores have them, especially this time of year. 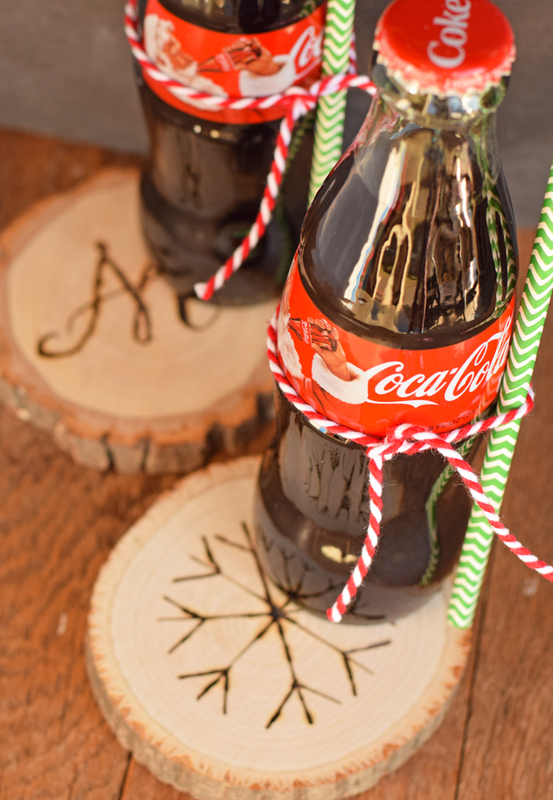 I absolutely love this idea…the wood coasters add such a festive charm! How fun is this! I would be making coasters for everyone and a nice cold Coke while I do OH YES Please 🙂 Thanks for sharing. These look amazing, no one would ever believe they are so simple to make. Great share!